...to gain knowledge and hone skills -- bringing the river into your classroom or your class to the river. Are you looking to enhance an existing curriculum with some additional skills, lessons, or teaching methods? Are you in need of an entire unit on rivers or water? Friends teaches a variety of workshops for all grades and skill levels. Most are in partnership with great schools/agencies, such as DePaul University, the Peggy Notebaert Nature Museum, IIT, the Shedd Aquarium, and Chicago Public Schools. If you need help planning a Chicago River unit, or wish to use the Chicago River for your students’ studies, please contact our education staff to set up a free planning meeting. We have no workshops planned at this time. Please check back. The Rivers Curriculum workshop is a comprehensive four-day workshop. It is presented in partnership with the Peggy Notebaert Nature Museum and the DePaul University-Lincoln Park Campus. This innovative curriculum uses rivers and watersheds as a focus for biology, chemistry, earth science, language arts, math, and geography. Each of these subjects has their own manual with lessons, assessments, and background information. The lessons are inquiry-based and hands-on, introducing students to complex river-based concepts and issues in a real world approach. Cost per teacher is $125. Available Credit through Aurora University: Two graduate credits (additional fee of $200) and 30 PDCHs (additional fee of $10). Contact our education staff, for details. I'm interested in a workshop for K-4th grade ($20 per teacher, includes a copy of the curriculum for up to five teachers). River Citizen is a self-contained unit appropriate for upper elementary and middle school. 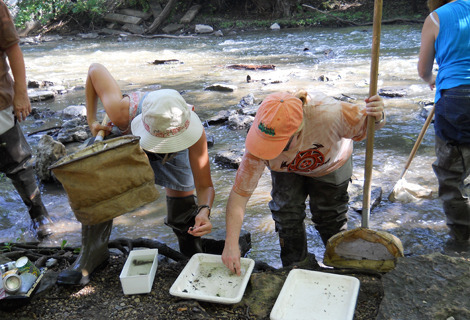 Through a series of lessons and a field trip, students take on the role of scientists and investigate a local environmental issue, the health of the Chicago River and its watershed. Students develop critical thinking and problem solving skills as they conduct research, collect and analyze data, draw conclusions, suggest solutions, and take individual action towards improving the river. Lessons include background information and assessment rubrics. 3. 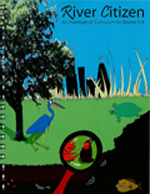 You may also download sections of the River Citizen curriculum book. 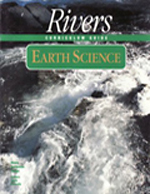 Exploring Rivers is a series of five curricula, one each for grade K-4th. Students explore habitats, cycles, flow and erosion. Engaging hands-on lessons and investigations connect students to the world around them. Lessons include background information and assessment rubrics. 3. 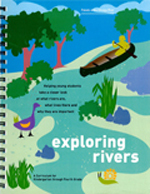 You may also download sections of the Exploring Rivers curriculum book. Friends will create a unique training for your next professional development or in-service day. Possible topics include: water quality monitoring, service learning, Chicago River history, integrating language arts and science, or the scientific method. Have you got an idea for a training? Contact our education staff for details and fee structure.